At Advent Wedding Cars we know that your wedding day is one of the most important days of your life. With so much planning and organising the last thing you need is for your Wedding Cars to be late or worse still not arrive. Our professional approach to each and every wedding along with our immaculate Classic Wedding Cars ensures that we turn up on time every time. You also have the luxury of knowing that our cars will be decked out exactly as you have requested. Our Chauffeurs will know exactly where you wish to go and will be there to assist you in every way possible. 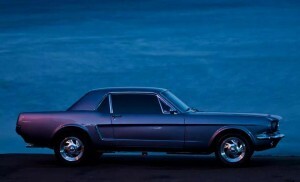 You will certainly be sure to arrive in style in either of our Classic Cars. 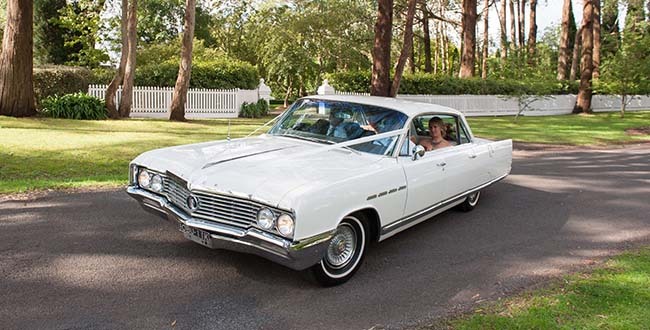 Choose from our Classic Buick Electra or Ford Mustang. For an obligation free quote please call us on (0435) 138 978 or use our online contact form. Wollongong, Sydney, Nowra, South Coast, Liverpool, Parramatta, Sutherland & St George Shire, CBD, Kiama, Mount St Thomas, Mount Warrigal, Coalcliff, West Wollongong, Huntley, Marshall Mount, Mount Keira, Oak Flats, Flinders, Curramore, Russell Vale, Scarborough, Stanwell Park, Shell Cove, Wollongong, Gerroa, Cringila, Warilla, Koonawarra, Lake Heights, Tarrawanna, Figtree, East Corrimal, Dapto, Woonona, Jerrara, Stanwell Tops, Kembla Heights, North Wollongong, Fernhill, Gwynneville, Farmborough Heights, Coniston, Primbee, Kiama Heights, Jamberoo, Gerringong, Foxground,Albion Park, Tongarra, Kiama, Mangerton, Otford, Keiraville, Towradgi, Blackbutt, Mount Pleasant, Croom, Shellharbour, Mount Kembla, Coledale, Yallah, Carrington Falls, Bellambi, Brownsville, Calderwood, Berkeley, Dunmore, Barrack Point, Lake Illawarra, Wombarra, Bombo, Willow Vale, Port Kembla, Minnamurra, Austinmer, Avondale, Mount Ousley, Corrimal, Cleveland, Windang, Clifton, Kanahooka, Fairy Meadow, Barrack Heights, Bulli, Albion Park Rail, Balgownie, Kiama Downs, Kembla Grange, Warrawong, Thirroul, Knights Hill, Unanderra, Helensburgh, Horsley, Cordeaux Heights.